Making sure that your dental needs are handled by an expert, who has a thorough understanding of your situation and the experience to make you comfortable, is one of the most important factors in choosing a dentist. You should choose a prosthodontist who is capable of filling a wide range of needs, with expertise in a variety of areas relating to the health of your mouth. When you see an experienced prosthodontist like Dr. Manuel Stefan, you will have the benefit of a doctor who specializes in dental implants, smile makeovers, family dentistry, cosmetic dentistry, and more. If you are looking for a permanent tooth replacement option, Dr. Manuel Stefan has the expertise to install durable dental implants. We all know that a missing a tooth can impact a person’s confidence. Even missing a tooth in the back of the mouth can have a negative effect on your chewing ability, and cause adjacent teeth to shift. Implant treatment can restore functionality and appearance to your mouth, and help you enjoy an improved quality of life. 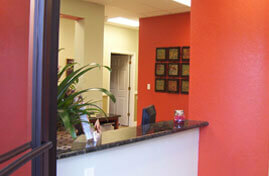 There are several types of dental implants we offer that you may want to become familiar with. The most common is called an endosteal implant which is placed in the jawbone. These implants are shaped like small screws, cylinders, or plates, and are designed to help hold up the structure of a tooth or bridge. The next type of implant is called a subperiosteal implant, which is placed under the gum but on or above the jawbone. These implants are used for patients who have a shallow jawbone. Regardless of the type of dental implant you require, an experienced prosthodontist like Dr. Manuel Stefan can get your smile back to looking 100%. Everyone wants a straight, white, natural smile, and an experienced prosthodontist can help you get there. We can help you fix issues like chipped, broken or worn teeth, missing teeth, tooth gaps, gummy smiles, and discolored teeth, on your way to the perfect smile. 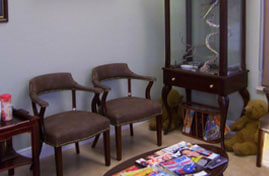 You might be surprised to learn just how quickly and comfortably your smile can be transformed. 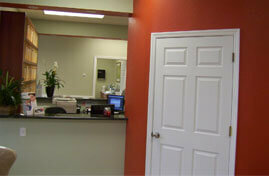 We pride ourselves on being able to provide dental services for the whole family. 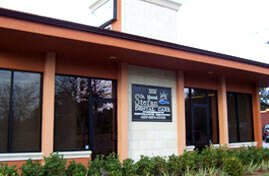 We offer a variety of professional services tailored for kids ages three and up. As an experienced prosthodontist, Dr. Stefan and staff have the knowledge and skills to provide complete dental care for all of your loved ones. Broken or crooked teeth– No one wants to walk around with a broken tooth. If one of your teeth has been badly broken or is structurally weak, a crown is often an excellent solution. Uneven teeth– It is quite common for a tooth to be slightly longer or have a different shape than its neighbors. We offer recontouring to reshape your teeth to ensure they fall in line with one another. 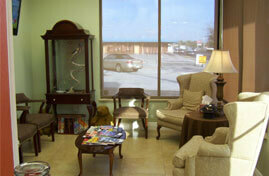 Chips and rough spots– We closely match composite acrylic to your natural tooth color to repair chipped teeth. Once the material has been smoothed and polished, it will look virtually identical to the surrounding area. Cavities– We use tooth-colored fillings to give your smile a more uniform look. These fillings are made with composite material similar to that used to repair chips or cracks. If you’re in need of an experienced prosthodontist, book an appointment with us today!